Looking to chow down on some fresh pasta? A new addition to 290 Hudson St., called Nonna Beppa, has you covered. 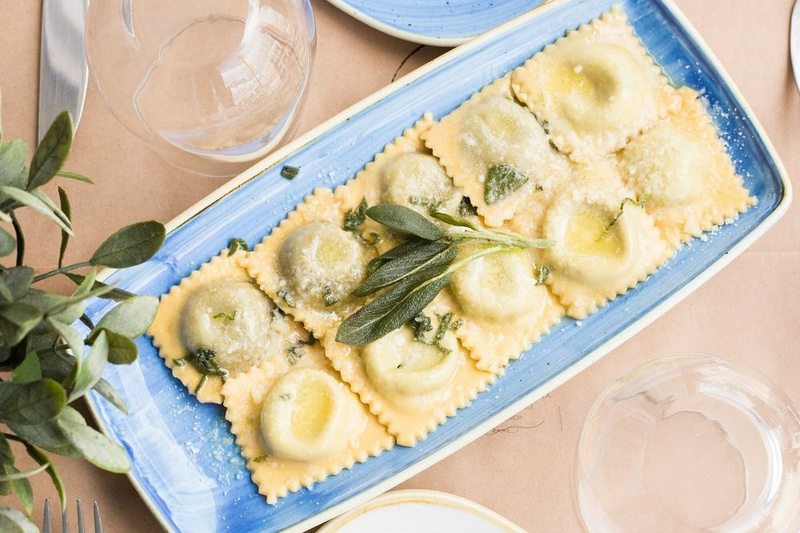 The project of chef Giancarlo "Wendy" Cacciatori, it specializes in the cuisine of Italy's Emilia-Romagna region, where his family has several restaurants, as Just Opened New York reports. From the menu, diners can try the house specialty tortellini, stuffed with prosciutto, mortadella, pork loin and aged parmigiano-reggiano, and served in a light broth; or the tagliatelle with prosciutto or gnocchi in bolognese sauce. The new pasta shop has received a warm welcome thus far, with a 4.5-star rating out of eight reviews on Yelp. Anna Lucia M., who was among the first Yelpers to review the new spot on July 27, wrote, "The chef "Wendy" is skilled in making the freshest bolognese traditional plates. Every pasta is made fresh in house!" And Marcel I. added, "I tried multiple dishes which were outstanding but what really blew me away were the tortellinis and the mascarpone. Both dishes were prepared closed to perfection. The tortellinis reminded me of the ones my late Italian grandmother used to make me when growing up." Swing on by to take a peek for yourself: Nonna Beppa Soho is open from 11 a.m.-11 p.m. Monday-Saturday and noon-11 p.m. on Sunday.